Mothers’ Voices is back in 2019 with a new interview! Can you tell me a bit about yourself and your family? What is your story? I am a home schooling mother to 2 girls, Estelle, aged 4, and Margot, aged 10 months. I used to work as a corporate lawyer in London, prior to becoming a mum. Motherhood was a deeply transformative spiritual experience for me after which I did not feel aligned with the values of my pre-baby life. I decided to resign from my job to be a full time mother to my daughter. It was the best decision I made. Alongside this, I started to study at weekends to be a Nutritional Therapist. Food and wellbeing is something I have always been interested in – a passion was ignited during my weaning journey with my daughter and I wanted to learn more about this to be able to support others. However my role as a homeschooling mother to my girls is my main priority and something I am deeply grateful for. I also love tea, journals, books, candles, anything sparkly and rainbows. You are a Registered Nutritional Therapist. How do you support women through your work? How do you combine work and motherhood? At the moment, I am a full time home schooling mum. My husband works full time and we don't have any family close by. I tend to work on evenings and on the weekend. We have plans to change our current lifestyle so I can achieve more of a balance in my work and share the parenting during the week. How your days look like? Do you have a particular daily and weekly rhythm in your family? We are more unschoolers in our approach at the moment but our approach is generally flexible. In the winter months, we tend to do an activity out of the house in the morning and then come home for lunch – the baby takes a nap and then we have free play in the afternoon. We tend to not have overscheduled days – it is all too easy to fall into the busy trap. We all feel much better if we have time outdoors every day. What philosophy or approach(es) influence(s ) you in your journey as a mother? Where do you find inspiration? The Mother magazine, which is now part of Juno, was a big inspirtaion for me in the early days; I really algined with the articles I read, particularly as I tend to follow the road less travelled. I also love the Green Parenting magazine. Instagram is a big inspiration – there are some lovely accounts which share books and parenting approaches. We have all heard that “it takes a village to raise a child” but most mothers nowadays raise their children in nuclear families. How can mothers “without a village” find support and strength? I believe we need to evolve with the circumstances of our modern societies. Where we can, mothers can support mothers. Joining local groups or starting groups where mothers can come together and share a cup of tea is vital. The online groups are helpful to a point but I don't think it is any subtitute for real life interaction. Mothers circles are popping up all of the time (check out the Red Tent movement). It is such a beautiful way to connect with ourselves and others. My work focuses on supporting mothers in motherhood and trying to spread the word so communities can be more supportive of mothers. We also talk a lot about “self-care”. I believe that more than self-care, mothers need to be nurtured. How does that look for you? What nurtures you? I agree. The word self-care, particuarly for new mothers doesn't sit right with me. I feel nurtured when I feed my soul with what I love – reading, podcasts, writing and creating. I also feel nurtured when others hold the space for me to talk. If you had to give just one piece of advice to the mothers who are reading us, what would that be? Be kind to yourself. You are enough. More than enough. There was a study done recently regarding the invisible work of mothers and how this can take a toll on women's mental health. Society may not acknowledge this work but it is the most important work. What book(s) had the biggest impact on you as a mother, as a woman? “Simplicity Parenting” and “The Continuum Concept” in the early days. And finally, if you had to ask yourself a question, what would that be? What do you need in this moment to feel whole? You can learn more about Alison’s work on her website and listen to her inspiring podcast. You can connect with her on Instagram and find inspiration on motherhood and the different seasons of a woman’s life. I’m so excited to start again my series of interviews Mothers’ Voices that I have initiated in 2015 and delighted to have Charlotte from Hello, Maman as my first guest after such a long pause. I came across Charlotte on Instagram and we have been following each other for a while. I love Charlotte’s serene and peaceful way of organizing her life so that she can homeschool her son and continue her work as language therapists throughout France. 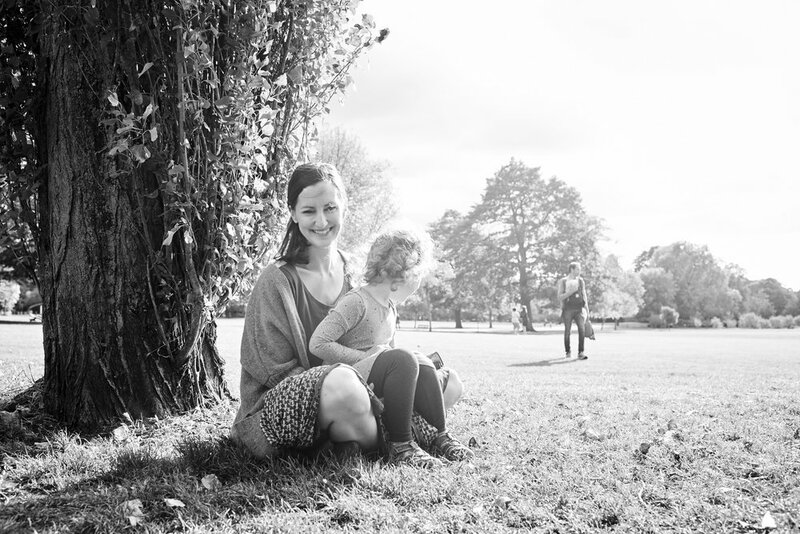 In this interview we talk about how she manages this nomadic life and homeschooling, how homeschooling works in France, her sources of inspiration, how she takes care of herself as a mother and much more.